A woman who allegedly placed her newborn son in a plastic bag and hid him under a pile of towels still wants to keep the baby, her lawyer said in court Monday. Police have called it a miracle that the baby survived because they said the woman, a Loyola University student from China, would not tell them where the child was when they were called to her home in Morton Grove last month. Because it was apparent she had just given birth, a Fire Department lieutenant started searching the house and found the boy — blue and unresponsive — in the plastic bag in a bathroom and rushed him to the hospital, officials said. The mother, Xin Zeng, 21, is charged with attempted murder. 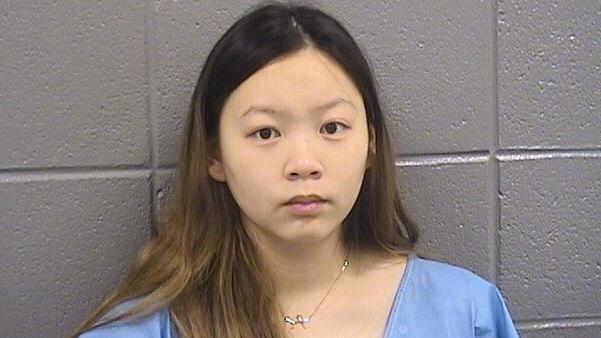 But in Cook County court Monday, her attorney, James Shapiro, said Zeng always intended to keep the baby and had purchased clothes for the boy, who he said was born prematurely. Shapiro said Zeng’s brother and sister-in-law, with whom she was living while in the country on a student visa, also would welcome the child. The brother had called 911 after hearing strange noises and discovering blood on the floor, officials said. Authorities said they believe the baby was born five to 15 minutes before paramedics arrived. During the arraignment Monday, Zeng pleaded not guilty, and her bond was lowered from $10 million to $5 million, although Shapiro said her family would still be unable to raise the $500,000 needed to bail her out of jail. Officials said the baby is now in the care of the Illinois Department of Child and Family Services and that, although he had some problems eating while hospitalized, is in good condition. Authorities said the alleged crime was avoidable because Illinois’ safe haven law allows parents to avoid prosecution if they drop off unharmed, unwanted babies at locations such as hospitals and police and fire stations within 30 days.